It is the new creation of the dramaturge and director Marcio Abreu along with companhia brasileira de teatro and collaborating artists. 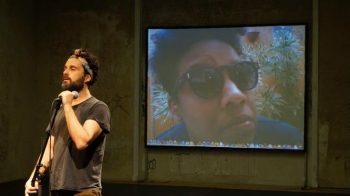 A theatrical work that promotes an investigation about racism and denial of differences from a Brazilian experience and in perspective with the world. An experience that aims to expand through art the perceptions about the other and about the living spaces and formation of sensitivities. The project was born as an undeviating unfoldment of PROJETO bRASIL, the latest work of the company. The plunge into Brazilian social thought literature, the points of views about our socio-political and ethno-cultural history, the trips across Brazil in coexistence with its multiple differences, the travels to other countries, experiencing the foreign look upon us and vice versa and the radical consciousness of the reverberation of all of this, apart from the challenge of a single play, were some of the aspects that based the decision to create PRETO. Two basic references influence and nurture the creation process of this play: on one hand the work of Joaquim Nabuco, intellectual and Brazilian abolitionist politician who lived in the XIX century between Brazil and Europe, and on the other a contemporary work of Cameroonian professor and political scientist Achille Mbembe “A Crítica da Razão Negra”¹, which proposes in an iconoclastic way an indispensable critical reflection to answer the main question about the world of our time: how to think difference and life, the similar and the dissimilar? 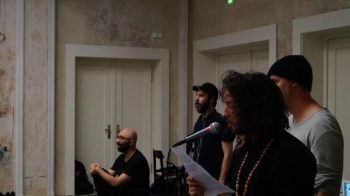 In the past few years, in his recent creations, Marcio Abreu has been investigating and creating dramaturgies that evoke the public dimension of theater as a place of coexistence and manifestation of ethical, social and aesthetically articulated presences. His new work PRETO follows the path of intersection between distinct fields of art and thought, dialoguing with performance, music, dance, visual arts, philosophy, literature and anthropology. 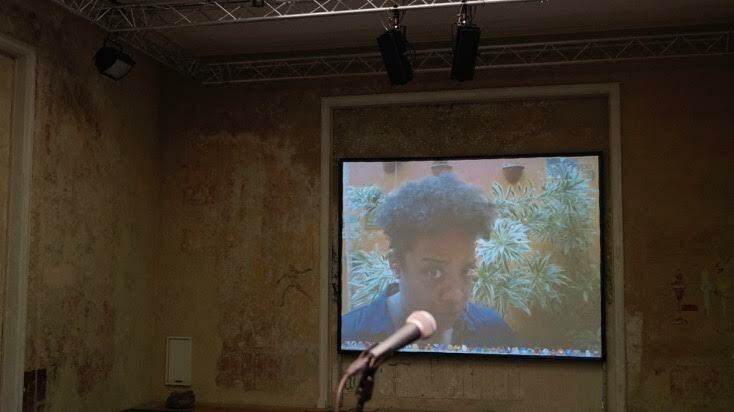 Furthermore, it puts in relation different cultures and points of view, gathering for this work Brazilian and foreign artists, expanding the issues and looking for an inseparability between concept, creative process and production methods. The creative process will be dedicated to a dramaturgy development in a plural perspective, articulating fiction texts specially created for the play, physical space, experimenting dimensions and understandings of “inside” and “outside” and experiences of what is “private” and of what is “public”, sonorities and the physical presence from a researched material and the crossing experience of instances of the real in the construction of an artistic object. We potencialize the rehearsal room as fundamental instance of creation, as living and open laboratory in contraposition to the execution of a project entirely thought a priori. The dialogue with the real without the purpose of reproducing reality is one of the language instances experimented in PRETO. Speaking from a thme and not about a theme. To be affected by a topic and artistically react to it rather than just describing it theatrically or transferring it to stage. In this way, we understand theater as a field of play and invention. The dramaturgy as a place of articulation and access to the unknown, to the unique experience of encounter, to the activitation of the interpreters and public members’ presence in the relacional dimension, potencializing the “between”, the invisible place that exists connecting people when theater is understood as an event inscribed in real, concrete time. The dramaturgy creation is simultaneous to the process of the play and inseparable from the staging.